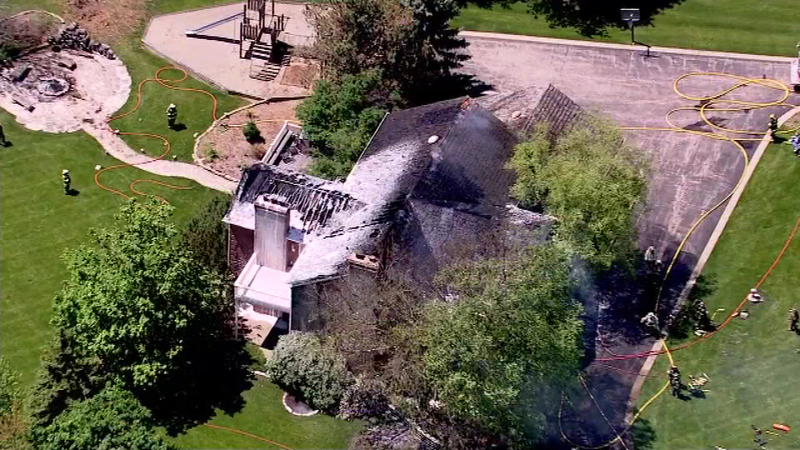 SOUTH BARRINGTON, Ill. (WLS) -- Fire investigators are working to determine the cause of a fire that broke out in a South Barrington mansion Monday afternoon. Firefighters on the scene of a burning mansion in Barrington, Ill., on May 18, 2015. The luxury home on Windbridge Road went up in flames early Monday afternoon. Flames were visible along the home's roof line. There were people in the home when the fire was first reported, but they all got out safely. The fire has been put out.